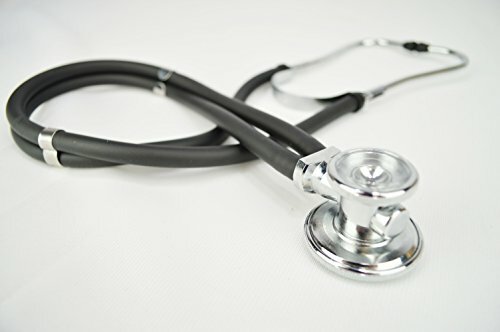 The LXSRS Sprague Rappaport Stethoscope by Lightning X Products is multi-purpose instrument designed to be a work horse without breaking the bank. It features dual lumen tubing with a convertible two-sided chest piece designed for superior adult and pediatric acoustics. Each kit includes 3 sets of interchangeable ear tips, 2 extra standard replacement diaphrams (adult and pediatric) and 3 sizes of open bell chest pieces. The stethoscope tubing and all parts are 100% latex free. If you have any questions about this product by Lightning X Products, contact us by completing and submitting the form below. If you are looking for a specif part number, please include it with your message.